This is a general assessment of the 12 zodiac signs for the upcoming year. This is not as prescriptive as your own personal chart which is individualistic to each person’s spiritual purpose. However, the following information will be extremely useful and is a guide to what to expect in 2018. I especially focused on the impact that Jupiter, the planet of expansion and luck, and Saturn, the planet of structure and focus, will have. Aries– This will be an active year for this sign, especially the first half of the year since Mercury, the planet of communication and travel, retrogrades in your sign in March and April, so careful with speeding and communications. Saturn, the planet of structure and focus, will be in your career sector for over 2 years starting now, and especially in January when there’s a new moon squaring up with Uranus, the planet of sudden change, so added responsibility is plausible – learn to delegate when needed. Pluto, the planet of fate and major changes or transformation, affects those born April 8-14, so an active year for Aries all around. Please don’t be impulsive, go with changes, rise to the challenge – all things come to pass, it’s a time for growth. New Moon 4/15 (Affects those born 4/13 – 4/17) Uranus conjunts this lunar cycle, so many quick and sudden changes may happen throughout the year. This can trigger a birth on one’s identity. Full Moon – 3/31 (Affects those born 3/29 – 4/2) Mars and Saturn square this lunar cycle, so health concerns affecting a family member may happen. Watch temper and avoid destructive course of action, proceed with caution this year. Taurus- Saturn, the planet of structure and focus, enters the earth sign of Capricorn, making a positive angle to your sign this year. This is good for disciplined activity, pursuing personal goals, especially healthy habits. This is a very good time to challenging your spiritual beliefs and to take a meaningful trip or travel abroad. Uranus, the planet of sudden change, enters Taurus this springto start its 7-year trek through your sign. This will bring sudden changes to those born in April. New Moon 5/15 (Affects those born 5/13 – 5/17) Pluto trines this lunar cycle, so a new job with a decent financial increase may happen. Increase in Metaphysical studies may present themselves throughout the year. Full Moon 4/29 (Affects those born 4/27 – 5/1) Saturn trines this lunar cycle, so a domestic relocation due to career matters is possible. Changes in family dynamics or added responsibilities surrounding family members possible through November. Gemini– It’s been a tough 2.5 years for Gemini’s because of Saturn and Neptune transits. Those born between 6/2-6/8 will have Neptune, the planet of forgiveness and redemption, impact them strongly this year. This is a time to release any addictions, and self-loathing. It’s a time to forgive everyone including thy self. This is favorable for a renewed sense of faith. Jupiter, the planet of expansion and luck, is transiting through your house of inheritance and business, so financial gains is possible this year. New Moon 6/13 (Affects those born 6/11-6/15) This lunar cycle indicates a change in one’s identity. This can affect one’s personal life and/or career position. This cycle is in effect for the year. Full Moon 5/29 (Affects those born 5/27-6/1) Mars trines this lunar cycle so this promises to be an active time in one’s life, especially matters concerning real estate or family members. This energy is present during the entire year. Cancer– Major focus on relationships due to Saturn, the planet of structure and discipline, starting its 2.5 year trek through Capricorn. This is a time to get serious about any commitment issues. This transit will make or break a relationship if it’s not founded upon honesty and practicality. Current relationships can be restructured or may end, new relationships bring potential unity and solidification. Jupiter transits through your house of fun, children and romance, so this can bring a lover or a child in your life. The universe has your back, stay positive and optimistic. New Moon 7/12 (Affects those born 7/10-7/14) Eclipse, Neptune Trines, and Pluto Opposes this powerful new moon. This will reveal once and for all the partner meant for you. Changes in career and relationship status is active all year long. Full Moon 6/28 (Affects those born 6/26- 6/30) Saturn opposes this lunar cycle, so striking a balance between work and family is the key here. You may have to step up to the plate if family issues surface. This is an active cycle throughout the year. Leo– Saturn, the planet of structure and focus, moves into the house of health and service. This is favorable for reviewing and restructuring your diet and creating a new exercise regime. This transit will also test your work ethics and current day to day activities. Make sure your real talents are expressed so you feel value in your daily life. Jupiter, the planet of expansion and luck, transits through your home area. This is favorable for real estate transactions. It’s also good for purchasing a new home or renovating an existing one. An increase in children or pets may also be possible. New Moon 8/11 (Affects those born 8/9-8/13) Eclipse, Mercury retro, Jupiter squares his lunar cycle. This combination promotes a cautionary period in July and August with communication and transportation. Jupiter magnifies everything it connects with, so be mindful of an inflated ego, and be generous to those that you’re guided to give. Full Moon 7/27 (Affects those born 7/25-7/29) Eclipse, Mars conjuncts, Uranus squares this lunar cycle. Oh boy, this is a tricky combination. Sudden changes can occur in family dynamics. Avoid hostile encounters and avoid any risky adventurous activities this year. Virgo– Jupiter, the planet of expansion and luck transits through your 3rd house of education and media exposure. This is an appropriate time to maximize social media outlets and attends many functions and engagements. It’s a gregarious time all around. Taking a class or teaching one is also possible, and it’s a grand time to author a book. Venus, the planet of love and money, transits through your sign mid-July through the beginning of August. This is valuable time for self-promotion, confidence, social appearances or sprucing up your appearance. Saturn, the planet of structure and focus, transits through your house of fun, games, and children. This teaches you to take calculated risk that is both meaningful and practical. New Moon 9/9 (Affecting those born 9/7-9/11) Neptune opposes, Pluto trines this lunar cycle. This is favorable for obtaining a powerful position in a career. This also shows that a new and humble attitude can surface from you. Cycle is active from March 2019 –March 2019. Full Moon 8/26 (Affecting those born 8/24-8/28) This lunar cycle can trigger an emotional or sentimental period in your life. Full moons tend to bring completion to an outstanding issue. Pets may come in or out of your life. Cycle is active from February 2018 – February 2019. Libra– This could be a challenging year for Libra’s because Saturn, the planet of structure and focus, enters the 4th house and will affect the home life or family dynamics. This transit usually triggers a change in the domestic environment or a loss. This 2.5 year transit will be active until 2020. Pluto the planet of fate and transformation, squares Libra’s born Oct 12th – 16th, and this may bring a major change as well. Jupiter, the planet of expansion and luck, transits through your house of finances, so this may bring a pleasant surprise of resources or steady income. New Moon 10/8 (Affecting those born 10/6-10/10) Pluto squares this lunar cycle shows that a major transformation may present itself. This can impact the family dynamics and may also cause a new job or career. This cycle is active from April 2018-April 2019. Full Moon 9/24 (Affecting those born 9/22-9/26) Mercury opposes, Saturn squares this lunar cycle. This period can bring a delay in plans pertaining to a domestic change or family situation. This is a time to be proactive, and not reactive to avoid possible conflicts. This is a temporary period so stay the course and this shall pass. Cycle is active from March 2018-March 2019. Scorpio– Jupiter, the planet of expansion and luck, transits through your sign until November 2018. This is favorable time to taking risk and for an increase in self-esteem. Things typically work out in your favor. Jupiter then meets up with Neptune, the planet of forgiveness and redemption, in a trine aspect all of May into mid-June, which can bring an awesome romance into your life. If partnered, then a fun time rekindling romance is indicated. New Moon 11/7 (Affecting those born 11/5-11/9) Neptune trine this lunar cycle, which promises that dreams may come true and things work out better than anticipated. This also makes you feel more compassionate with others and more faith-filled with the universe. Full Moon 10/24 (Affecting those born 10/22-10/26) Uranus conjunts this lunar cycle, so sudden changes in family dynamics is possible. Changes in relationship status can also be possible. Cycle is active from April 2018-April 2019. Sagittarius– Saturn, the planet of structure and focus, enters your house of financial resources. This is an opportunity to budget your money and create a better savings plan. Overall, it’s a time to restructure your finances and to focus on building your self-esteem, which increases your self-worth. Financial discipline is the key. Those born December 3rd – 9th will have transiting Neptune squaring your sign, which is an opportunity to look at your spiritual beliefs and to release any unconscious blocks or limited beliefs. This is a wonderful time to meditate or do yoga and listen to your inner wisdom. New Moon 12/7 (Affecting those born 12/5-12/9) Mars and Neptune squares this lunar cycle. Proceed with caution is the key with this combination. Things that may anger you are not as they appear to be. You must look at life through a panoramic viewpoint and not from a myopic view. Capricorn– This is the beginning of a disciplined period of taking ownership for one’s life. Saturn, the planet of structure and focus, will be in your sign for 2.5 years and its main purpose is to create a life of reality. Saturn likes to foster responsibility and accountability and creates a solid life base to build upon. The primary changes affiliated with this transit is behavior, attitude and responsibility. 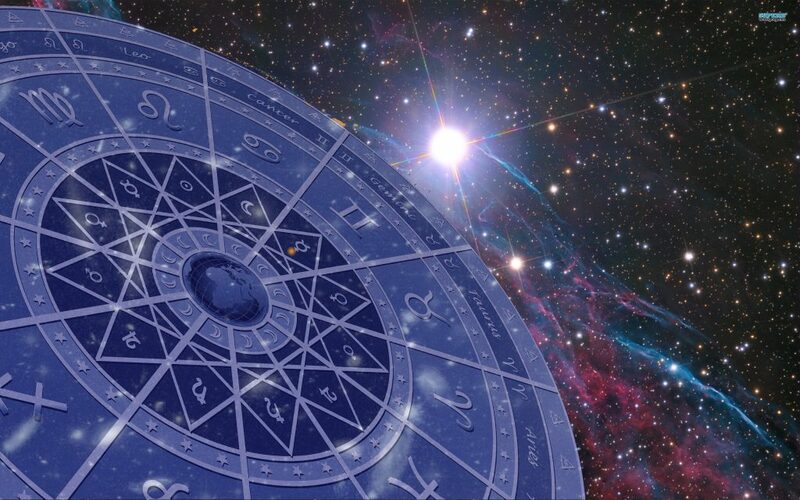 Pluto, the planet of fate and transformation, is still affecting those born January 8th – 14th. This will bring major changes, including fated people who enter your life. These planets strengthen your resolve through character building experiences. New Moon 1/16 (Affecting those born 1/14-1/18) Venus conjunts, Uranus squares this lunar cycle. This can bring a sudden and whirlwind romance into your life. This will be fleeting, so enjoy the ride, but wear your seatbelt. This could also bring a change in career or in your domicile. Cycle is active from June 2018-June 2019. Full Moon 1/1 (Affecting those born 12/30-1/3) Neptune trines this lunar cycle which is a blessing to those affected. Neptune brings peace and humility to the planets it impacts, so any possible domestic changes will be divinely inspired and pleasantly paved. Cycle is active from July 2018-July 2019. Aquarius– Saturn, the planet of structure and focus, affects your 12th house of unconscious blocks and limiting beliefs. This is also called the house of karma. This will affect you for 2018 and 2019 and its main purpose is to resolve the past, help release any unconscious beliefs that are false and holding you back from peace. People from you past may resurface, which includes lovers and friends. Some friendships or love interest could recycle. New Moon 2/15 (Affecting those born 2/13-2/17) Eclipse, Mercury conjunts this cycle. This period could trigger affect a sibling or close family member. This often promotes a new chapter in life and it may involve a fated encounter. Cycle is active from August 2018-August 2019. Full Moon 1/31 (Affecting those born 1/29-2/2) Eclipse, This lunar cycle is punctuated by the eclipse which brings a shift in family dynamics and may cause a domestic relocation. The desire to purge people and places from the past may be possible. This may trigger a loss or an ending of some type. Lunar cycle is active from August 2018-August 2019. Pisces– This sign has had it rough the last 2.5 years with Saturn and Neptune both making strong aspects to you. This is a year to recover thanks in part to Jupiter, the planet of expansion and luck, making a trine or a very favorable angle to your sign this year. This is a break of tough times and brings you optimism. Jupiter will be transiting through your house of higher education and spiritual awareness, so mental stability is present with this combination. This is a very empowering influence since knowledge is power. This is a year of spiritual growth and recovery. New Moon 3/17 (Affecting those born 3/15-3/19) Jupiter trines this lunar cycle, so this may cause an eventful trip overseas and a broader perspective on life. New chapter in career or in status is possible. Full Moon 3/1 (Affecting those born 2/27-3/3) Neptune opposes this lunar cycle which offers one to see things from both points of view. Neptune dissolves the ego and illuminates the light within. The full moon often triggers a domestic change or shift in family dynamics. Lunar cycle is active from September 2018-September 2019. President Trump – New moon on June 13, his birthday is June 14th, so this is a year of changes, and not an easy year. Melania is entering a 5 year in numerology which also means changes. Vice President Pence – Under a Saturn return until his next birthday 6/7. Major shift in life at 58 and it typically impacts career since Saturn normally presents career presence. More to come in the next six months.